Someone needs to do something about this roading situation. 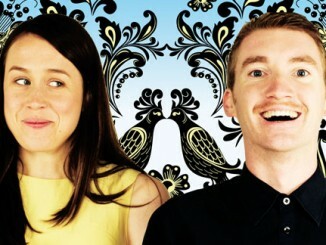 Originally performed at the Edinburgh Fringe Festival in 2012, The Road That Wasn’t There, presented by Trick of the Light and embarking on a tour throughout New Zealand, makes its Auckland debut as part of the 2013 Fringe Festival. Broken into eight protractedly titled chapters, the script weaves between fiction and reality with great ease thanks to the spectacle elements of the show. Puppetry, shadow play, music, and live action all work in great cohesion to support the story-telling. The mirroring and foreshadowing within the script is nicely maintained and revealed, however, there is an overall lack of catharsis for any of the characters, as if the necessary dialogue for these final scenes is missing from the text. Nevertheless, writer and performer Ralph McCubbin Howell has created a wonderfully magic world that not only encompasses the play, but also reinforces the mythical themes within it. Writer’s Notes* should be read and considered. Oliver de Rohan has a full tonal quality to his voice that aids well to his narrative role as Gabriel. Elle Wootton brings wide-eyed wonder to her role as young Maggie, but plays up to stereotypes in her elder years. This heightened style, necessary in all but the aforementioned roles, does a disservice to the truth that could be achieved in these performances. Director Hannah Smith seems to have neglected finding the variety of actions that could be played in the more dramatic scenes. McCubbin Howell takes on six supporting roles, which, comparatively, require a great amount of flair, which the writer/performer injects with great vitality. The trio works very well in channeling their performances through the duality of puppetry. Set by Nick Zwart, costumes by Nicola Holter, puppets by Smith, lighting by Marcus McShane, and composition and sound design by Tane Upjohn-Beatson all work in unison with McCubbin Howell’s script in giving full life to the world of the play. 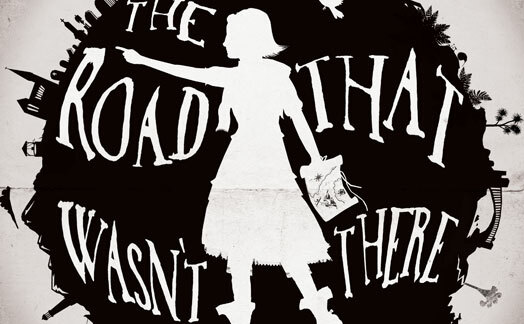 The Road That Wasn’t There is a genuinely entertaining story, which caters for all ages, and, while the pathos isn’t fully realised (which could be explained by working in yet another new tour venue), it fulfills the necessities of story-telling that we subconsciously desire. * Thank you to Ralph McCubbin Howell for including the necessary apostrophe in the heading Writer’s Notes – it is the first one I’ve seen in the Fringe thus far. 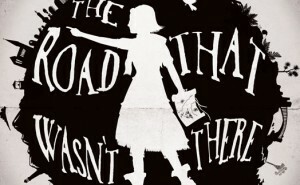 The Road that Wasn’t There is presented by Trick of the Light productions and plays as part of Auckland Fringe at The Basement until 27th Feb. Details see Auckland Fringe.